This established business is located in an automotive complex in the centre of the Tuggeranong Valley, Canberra ACT. The Valley has 85000 residents, and this store is surrounded by shopping centres, large retail stores (hardware, tyres, auto parts etc), Commonwealth Departments (over 5000 employees) and residential suburbs and unit complexes. Annual average turnover is approaching $600K, rent is $4,400 per month (GST inc) plus utilities. It’s a great opportunity to get into the local market with a national customer base and support network. Our store has a loyal local customer base with plenty of repeat business. This workshop comes with: 3 x 2 post hoists, up-to-date scan tool, on-car injector cleaning equipment and many other machines & tools required to run this workshop efficiently. Ideally suited to an owner operator, this business presents the opportunity to grow beyond its current annual turn over level. 35 years strong, Ultra Tune is a trusted name and is a recognised leader in specialised car servicing and repairs. Dedicated business systems and operating procedures ensure vehicle servicing is performed faster, more efficiently and more cost effectively. 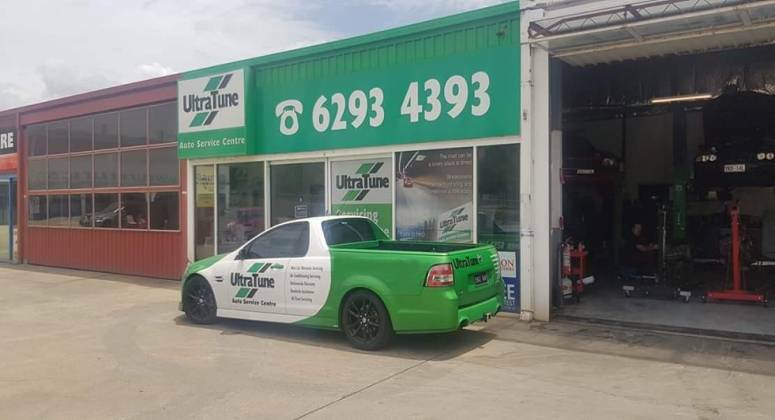 Ultra Tune Australia provides an exclusive computer program which provides both administrative, billing and booking services, and updated servicing data. Inhouse training and information sessions are also included. Intending purchasers to make their own investigations and enquiries in relation to the business and not to rely upon warranty or statement made by the seller or by anyone on their behalf. Please Note: All figures quoted are approximate. Email Confirmation!Your message has been sent to the business owner. Contacting multiple businesses greatly increases your chances of finding a business.